For Rates & Description, click here. Caribbean Flights is an Air Charter Service provider offering Private Flights in the Caribbean region exclusively. Florida & The Bahamas, Turks & Caicos, Puerto Rico & the Virgin Islands, Cuba & the Dominican Republic, St. Barths, St. Maarten, Anguilla, St. Kitts & Nevis, Antigua, Dominica, St. Lucia, St. Vincent & the Grenadines, Mustique, Barbados, Aruba, Bonaire, Curaçao..
Why is the Pilatus PC-12 the best charter aircraft for the Caribbean islands? 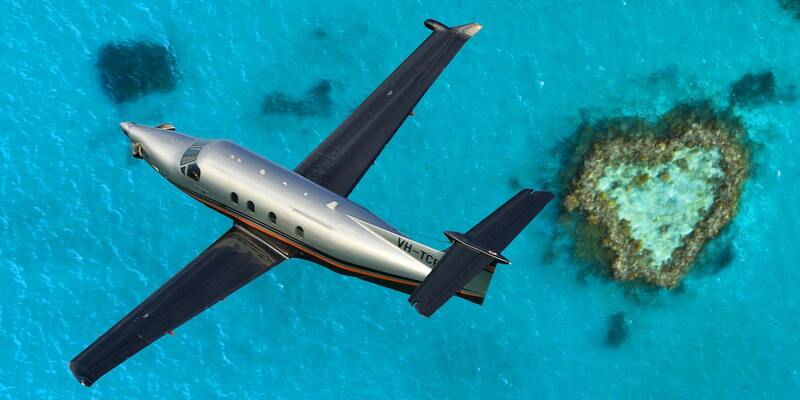 Caribbean Flights’ fleet includes the latest Pilatus PC-12 NG, manufactured in 2018! For the latest news & specials, follow us on Twitter and Facebook. Hello Captain, Thank you--mission very well accomplished and we are delighted to have had the opportunity to use you team for our visit to Anguilla. The Piper was comfortable, and the flights took away the usual hassle of travel through the airports. Without doubt we would seek to call upon your service on any future visit in the region. We had a very enjoyable experience and would certainly recommend you to friends travelling your way. Our flight went very well. Little longer than expected because of the wind but comfortable and safe. The Captain was excellent. Very kind, professional, informative and capable. I would recommend him to anyone interested in chartering a flight to the Caribbean. Thank you for your help and for negotiating the price for us to be able to afford to get our pets to St. Croix safely. I just wanted to say thank you to you and your flight crew. They were awesome and we enjoyed the short flight. I can’t thank you enough for your patience and help with our charter. I look forward to using your company again in the future. From St. Maarten to St. Barths / July 2018. Good day, team, Re our Charter yesterday........thank you: it all went very smoothly, and we had a comfortable flight with two great people in charge up front--a credit to you and your team. Many thanks for that. We were stranded on St Martin. Our big US airline got us there very late and we missed a scheduled flight to another island to catch our cruise ship. It was the holiday period so everything was booked. We were scrambling for an alternative, then found Caribbean Flights and they were amazing. We were able to make a request late on a Saturday night, and get a callback Sunday morning. They worked with us to find the perfect flight for that day for all 4 of us to catch our ship. All regular airlines were booked for several days, and it turns out it is *really* difficult to get from island to island, particularly during the busy periods. As we checked around, we discovered there are a number of illegal possibilities -- pilots that offer to take you there and try to make themselves look like legitimate charter companies but they are not. So we were very grateful to find Caribbean Flights. A short email to say thank you for arranging the Charter flight from Montserrat to Grand Turk. The Captain and crew could not have been more professional. They were in a word “excellent” and I would not hesitate to use them again, they were a delight to fly with. Many thanks. Having travelled the Caribbean Islands for a few years it is a challenge to organize flying within the islands. However, we travelled from Antigua to St Barths and then St Barths to Mustique and back to Antigua. On the day of the flights, there were no surprises. The aircraft was immaculately presented, and the captain and co-pilot were completely professional. Our flight went extremely well, and our pilot was wonderful. We will pass along our recommendation on the whole process to friends. From San Juan to St. Kitts / August 2018. Thanks again. Great service UK We flew into St Lucia on BA and then on to Mustique with Caribbean Flights They were brilliant we had a VIP option that took care of everything. I will use them again. Caribbean Flights incredible service and willingness to do whatever it takes really saved the day by allowing us to get to the RORC 600 Race in Antigua. We missed our connection flight with Liat from St Maarten. Why choose Caribbean Flights for your next trip? Bringing together a team of seasoned Caribbean travel experts, we have over the years become your premier choice for flying smart in the Caribbean. Here's why you should fly with us! We are the only Air Charter provider offering Private Flights in the Caribbean and nowhere else. We fly everywhere in the Caribbean and can respond to 99% of private flight requests in the region. Caribbean Flights’ network provides regional access to the most comprehensive choice of accredited airplanes available for private charter flights. Caribbean Flights’ bespoke and purpose-built online platform enables rapid response to charter requests. Providing instant and accurate route availability within seconds, and a quote within hours. Our pricing model couldn’t be simpler; our online network creates the most effective route with the most efficient aircraft at a competitive price in the market. Caribbean Flights is committed to the highest levels of industry safety standards and has a comprehensive Safety Policy. Caribbean Flights refers to Caribbean Agency LLC, a Delaware corporation and other parties responsible for providing air charter services. All network partners are certified air taxi operators required to adhere to safety requirements set forth by Civil Aviation Authorities.